For black women, our self-care is vital. We spend most our time caring for the needs of others — family, friends, coworkers and spouses — that we put our own needs on the back burner. Which can obviously be detrimental for us in the long run. So sis, it’s time to take care of yourself. As Audre Lorde said: “Caring for myself…is self-preservation and that is an act of political warfare.” And she is right. 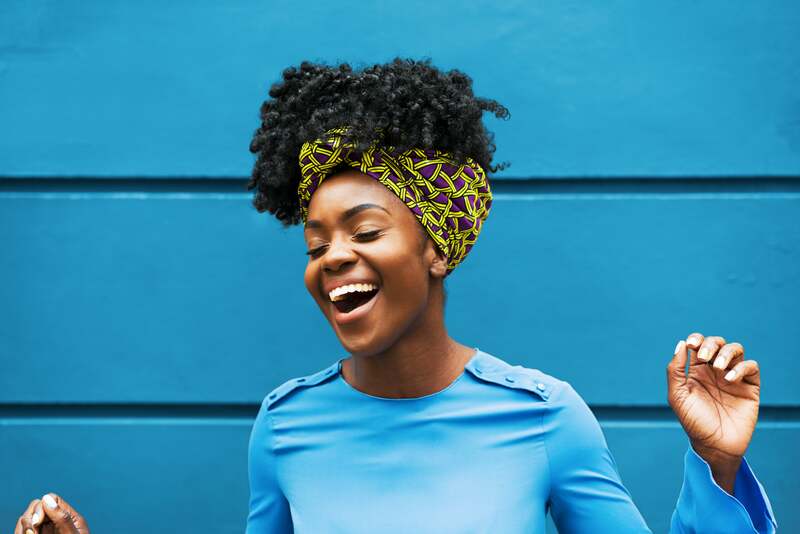 While many people equate self-care with lavish vacations, spa days and expensive gifts to treat ourselves, it’s important for you to know that self–care isn’t a one-time occasion that occurs every few months — it’s a daily practice. With that said, here are nine ways you can practice self-care daily. The truth is, you owe it to yourself to take care of yourself. So why don’t you start today? Meditate. Take a moment every day to practice mindfulness. You can practice this on your own, or even download a meditation app. Breathe. Count to ten. Staying focused on your breath removes distractions, worries, and restlessness from the mind. Being in touch with your soul and inner emotions helps you feel more connected to the world and is a perfect way to relieve the burdens of activism and the daily stresses of everyday life. Make a list of all of all the things that you’re grateful for. It’s important to cultivate a spirit of gratitude. Focusing on the things you’re grateful for each day will help you feel happier, more centered and more self-confident. It’s as simple as saying, “I’m grateful for…” and naming things, people and events that have occured in your life on a daily basis. You woke up this morning — that’s a gift to be thankful for in inself. Keeping a gratitude journal and writing in it each day can help you consciously give thanks for the things that make your life better. Exercise. Of course, there are the physical benefits that come with working out, such as a better physique, but other benefits of exercise include mood improvement, stress reduction, better sleep, and a happier spirit. Incorporating just 30 minutes of exercise each day can make all the difference in not just your physical health, but your mental health. Make room for joy. In the midst of our day-to-day activities, it can be easy to forget to make space for things that fill you will joy. Laugh. Listen to your favorite podcast. Dance (or twerk) like no one is watching. Color in an adult coloring book for 15 minutes. It can be anything that renews your spirit throughout the day. Say no. Don’t want to go to lunch with Susan today? Don’t have time to make your famous lasagna as a favor to your friend? Then don’t. In fact, make it a priority to say “no” to any requests to your time, energy and resources that don’t align with your wants or needs. It’s necessary to preserve your sanity. C’mon, do you really think you can please everyone? Dedicate one day out of the week as your own personal day. Set aside one day per week as “you” time. No work, no obligations — just a day to spend time with yourself doing whatever you want to do. That can be spent cleaning, reading, taking in a movie, going to dinner with your tribe — anything you want. Just make sure you’re the priority that day. Incorporate healthy habits. Are you getting enough sleep? Find yourself drinking a lot during the week? Spend more time eating junk than clean eating? Small changes will make a big difference. Something as simple as drinking more water (and minding your business) will have you hydrated, healthy and happy. Try something new. When was the last time you’ve tried something for the first time? Join a sports club, take yourself on a date, journal, try a dating app. It’s time to get creative! The benefits of regularly engaging in a creative activity can help make you a better problem solver, expand your sense of time, improve your self-awareness and reduce your urge to buy compulsively. Rid the negativity. Above all things, protect your energy. Once you find the source of any negativity, don’t hesitate to cut it off. This can be a person, your job, or a habit. This will make a world of difference for your spirit in the long run.